Red Clydeside was the era of political radicalism in Glasgow, Scotland, and areas around the city, on the banks of the River Clyde, such as Clydebank, Greenock, Dumbarton and Paisley, from the 1910s until the early 1930s. Red Clydeside is a significant part of the history of the labour movement in Britain as a whole, and Scotland in particular. Popular newspapers of the time used the term "Red Clydeside" to refer to the political militancy. An amalgamation of charismatic individuals, organised movements and socio-political forces led to Red Clydeside, which had its roots in working class opposition to Britain's participation in World War I, although the area had a long history of political radicalism going back to the Society of the Friends of the People and the "Radical War" of 1820. The 11,000 workers at the largest Singer sewing machines factory, in Clydebank, went on strike in March–April 1911, ceasing to work in solidarity with 12 female colleagues protesting against work process reorganisation. This reorganisation involved an increase in workload and a decrease in wages. Following the end of the strike, Singer fired 400 workers, including Jane Rae one of the women activists, and all strike leaders and purported members of the Industrial Workers of Great Britain, among them Arthur McManus, who later went on to become the first chairman of the Communist Party of Great Britain between 1920 and 1922. Labour unrest, in particular by women and unskilled labour, greatly increased between 1910–1914 in Clydeside, with four times more days on strike than between 1900 and 1910. During these four years preceding World War I, membership of those affiliated to the Scottish Trades Union Congress rose from 129,000 in 1909 to 230,000 in 1914. 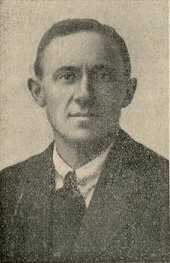 To mobilise the workers of Clydeside against World War I, the Clyde Workers' Committee (CWC) was formed, with Willie Gallacher as its head and David Kirkwood its treasurer. The CWC led the campaign against the Liberal government of David Lloyd George and their Munitions Act, which forbade engineers from leaving the company they were employed in. The CWC met with government leaders, but no agreement could be reached and consequently both Gallacher and Kirkwood were arrested under the terms of the Defence of the Realm Act and jailed for their activities. Anti-war activity also took place outside the workplace and on the streets in general. The Marxist John Maclean and the Independent Labour Party (ILP) member James Maxton were both jailed for their anti-war propagandizing. At the turn of the twentieth century the Clydeside area in Glasgow experienced rapid industrial and population growth. Eleven percent of Glasgow's housing stock was vacant due to speculation and few new houses were built as landlords benefited from renting out overcrowded and increasingly dilapidated flats. As Highlanders and Irish migrants came to Glasgow, the city's population increased by 65,000 people between 1912 and 1915 while only 1,500 new housing units were built. Glaswegian activists had demanded legislation and the building of municipal housing as early as 1885, when the Royal Commission on Housing and the Working Class noted the housing crisis. The Scottish Housing Council organised in 1900 and under pressure from trade unions the Housing Letting and Rating Act 1911 was passed. The act introduced letting by month, previously workers with unstable jobs had been forced to put up a year's rent payment. But as landlords increased rents protests by tenants became more frequent. John Maclean of the British Socialist Party organised the Scottish Federation of Tenants' Associations in 1913 to fight against rent increases and ask the state to provide housing. In 1914 the Independent Labour Party Housing Committee and the Women's Labour League formed the Glasgow Women's Housing Association. Under the leadership of Mary Barbour, Mary Laird, Helen Crawfurd and Jessie Stephen the Glasgow Women's Housing Association became the driving force behind the rent strike that started in May 1915 in the industrialised area of Govan. Tenants refused to pay the latest increase in rents and staged mass demonstrations against evictions, resulting in violent confrontations. With the start of the First World War local young men left Glasgow to serve in the army overseas, and the first violent protest in the Govan district took place in April to resist the eviction of a soldier's family. As evictions were repeatedly attempted with support from the police, women attacked the factors and the sheriffs' men. In early summer 1915, the rent strikers were supported by mass demonstrations and by August, the rent strikers had found widespread support in Glasgow. Rent strikes spread from heavily industrialised areas of the city to artisanal areas and slum areas. Strikes ignited in Partick, Parkhead, Pollokshaws, Pollok, Cowcaddens, Kelvingrove, Ibrox, Govanhill, St Rollox, Townhead, Springburn, Maryhill, Fairfield, Blackfriars, and Woodside. In October 1915, 15,000 tenants were on rent strike and a demonstration led by women converged on St Enoch Square. By November, 20,000 tenants were on rent strike as violent resistance against evictions continued. Trade unions threatened factory strikes if evictions supported by the police continued and following demonstrations on 17 November, legal action against rent strikers was halted. State Secretary of Scotland McKinnon Wood asked the Cabinet to freeze all rents at pre-war levels and in December, the Rents and Mortgage Interest Restriction Act 1915 received royal assent. The left-wing activities continued after the end of the war. The campaign for a 40-hour week, with improved conditions for the workers, took hold of organised labour. On 31 January 1919, a massive rally, organised by the trade unions, took place on George Square in the city centre of Glasgow. It has been estimated that as many as 90,000 people were present, and the Red Flag was raised in the centre of the crowd. The gathering descended into what is generally considered to have been a police riot, with the Riot Act being read, and attacks made on the strike leaders as they exited the City Chambers. The Coalition government panicked, fearing a possible threat to order or even a Bolshevik-style insurrection. It was only fourteen months since the Russian Revolution, and the German Revolution was still in progress in January 1919. Troops based in the city's Maryhill barracks were locked inside their post, with troops and tanks from elsewhere being sent into the city to control unrest and extinguish any revolution that should break out. No Glaswegian troops were deployed, and few veterans, with the government fearing that fellow Glaswegians might sympathise with the strikers if a revolutionary situation developed in Glasgow. Young, mostly untried, troops were transported from camps and barracks around the country and stationed on the streets of Glasgow, specifically to combat this possibility. There remains a debate on the left, over whether the Red Clydeside movement constituted a revolutionary opportunity for the working-class, though on the face of it, it would appear that the revolutionary potential of the Clydeside working-class has been exaggerated. Firstly, except Maclean, none of the labour leaders developed a class analysis of the war, nor did they seriously consider threatening the power and authority of the state. Furthermore, it was the behaviour of those conducting the war, not the war itself that provoked opposition within the labour movement. The Independent Labour Party's May Day Manifesto of 1918 makes this very clear in calling for A Living Wage for all and Justice for our Soldiers and their Dependants. Moreover, the massive demand for men to fight in the war meant that few Glaswegian families escaped personal loss of some kind. To undermine the war effort was to risk alienating the working-class, which many labour leaders were unwilling to do-–apart from Maxton, Gallacher and Maclean. William Gallacher, who would later become a Communist MP claimed that, whilst the leaders of the rally were not seeking revolution, in hindsight they should have been. He claimed that they should have marched to the Maryhill Barracks and tried to persuade the troops stationed there to come out on the protesters' side. The trade union leaders, who had organised the meeting, were arrested. Most were acquitted, although both Gallacher and Manny Shinwell were put in jail for their activities that day, Shinwell also being charged with an inflammatory speech the week before in James Watt Street in the city's docks, in an episode that later erupted into a race riot. The ensuing 1922 general election saw the rise of Labour in the Clyde valley. The aura of Red Clydeside grew as the organised left-wing replaced the Liberal Party as the political party of the working class. This manifested itself at the 1922 general election, when several of the Red Clydesiders were elected to serve in the House of Commons (most of them Independent Labour Party members). They included Maxton, Wheatley, Shinwell, Kirkwood, Neil Maclean and George Buchanan. According to the Labour Party, the Red Clydesiders were viewed as being left-wing. Many of them, most notably Maxton and Wheatley, were great critics of the first and second Labour governments, elected in 1924 and 1929 respectively. The Red Clydeside era still impacts upon the politics of the area today. Ever since, Glasgow has been known for political and industrial militancy. The Upper Clyde Shipbuilders Work In of 1971, led by the then-Communist Jimmy Reid is an example. Until 2015, the Labour Party held the most influence as the dominant political force in the area. This period in Glasgow’s colourful past remains a significant landmark for those on the left-wing in Scotland. The legend of the Red Clydesiders can still be politically motivating. At the 1989 Glasgow Central by-election, the Scottish National Party candidate Alex Neil called himself and the SNP Member of Parliament for Govan at the time, Jim Sillars; the "new Clydesiders". Labour ceased to be the dominant political entity in Glasgow, and indeed in the rest of Scotland, in 2015. In the general election of that year they lost all their seats in Glasgow to the SNP. In the election of 2017, Labour regained Glasgow North East, but the other six Glasgow constituencies were again won by the SNP. The album Red Clydeside by Alistair Hulett & Dave Swarbrick contains nine songs about the movement, particularly the anti-war protests and the rent strike. The Red Clydeside movement was also featured in John McGrath's play Little Red Hen, performed by 7:84. ^ "Red Clydeside: The Singer strike 1911". ^ Ewan, Elizabeth; Innes, Sue; Reynolds, Siân; Pipes, Rose, eds. (2006). Rae, Jane. The Biographical Dictionary of Scottish Women. Edinburgh: Edinburgh University Press. pp. 295–296. ISBN 9780748632930. ^ Castells, Manuel (1983). The City and the Grassroots: A Cross-Cultural Theory of Urban Social Movements. University of California Press. pp. 28–29. ISBN 978-0-520-05617-6. ^ "Jessie Stephen: Working Class Movement Library". ^ a b Castells, Manuel (1983). The City and the Grassroots: A Cross-Cultural Theory of Urban Social Movements. University of California Press. p. 29. ISBN 978-0-520-05617-6. ^ a b Gallacher, William (1978). Revolt on the Clyde. Lawrence and Wishart. pp. 52–58. ISBN 0-85315-425-2. Gallacher, William (1978) . Revolt on the Clyde: An Autobiography (4th ed.). London: Lawrence and Wishart. Jenkinson, Jacqueline. "Black Sailors on Red Clydeside: rioting, reactionary trade unionism and conflicting notions of ‘Britishness’ following the First World War," Twentieth Century British History (2008) 19#1 pp 29-60. Melling, Joseph. "Whatever Happened to Red Clydeside?'" International Review of Social History (1990) 35#1 pp 3–32.